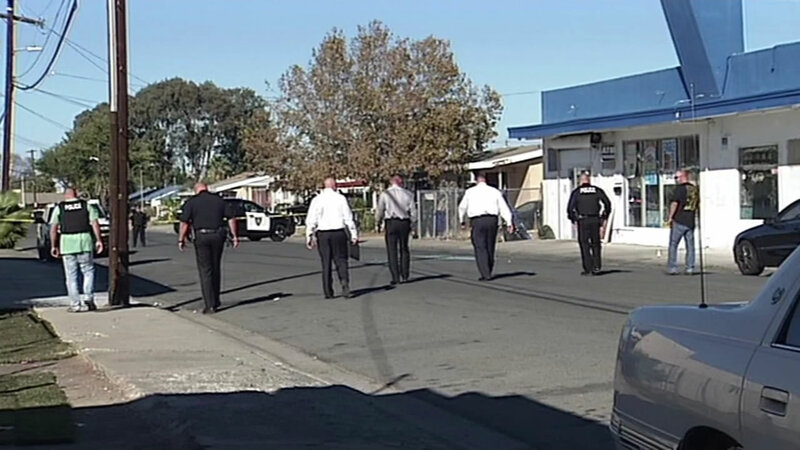 PITTSBURG, Calif. (KGO) -- Pittsburg police are searching for a gunman who fired a shot into a car with a man and two children inside on Friday. It happened on Diane Avenue near California Avenue. A bullet hit the driver in the neck and he flagged down an officer on the street. The shooting was just feet from the campus of Martin Luther King Jr. Junior High School. Police said the driver is expected to survive and the children were not hurt.